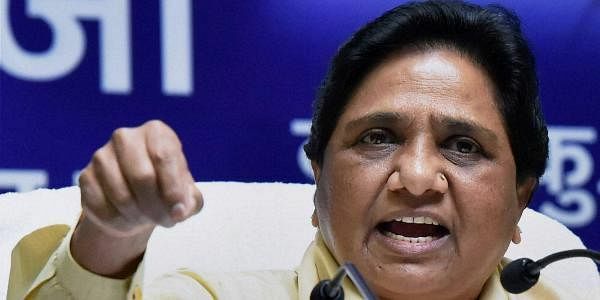 Bahujan Samaj Party chief Mayawati said here on Tuesday that this ill-timed and ill-prepared step has unleashed miseries on the people. ill-timed and ill-prepared step has unleashed miseries on the people. Addressing a rally to mark 60th death anniversary of Dalit icon BR Ambedkar at Ambedkar Memorial here on Tuesday, she also took a jibe at UP chief minister Akhilesh Yadav, calling him politically immature and at the same time terming his government a failure on the law and order front. “People are dying for they don’t have money to pay to the doctors, students are suffering as they are not able pay fees on time, poor people had to postone or cancel the marriages of their daughters, farmers are not able to buy the seeds and fertilizers,” she said claiming that each and everyone in the country was suffering except the capitalist friends of Modi for whom the prime Minister made all the arrangements 10 months before effecting the sudden currency scrapping. Making a fervent appeal to the people of poll-bound UP to support her party in the upcoming state assembly elections-2017, she assured them of good governance aimed at ‘Sarvajan Sukhai, Sarvajan Hitai’ and a rule of law. If voted back to power with absolute majority, she said, she would order probe into all financial decisions taken during Akhilesh’s regime and sending criminals and corrupts to jail. She also accused Akhilesh of grabbing credit for all the developmental schemes, like Agra-Lucknow E-way and Lucknow Metro project, conceptualised during her regime. Calling the parks and memorials of Dalit icons built during her regime places of tourist attraction, she said: “A large number of people throng these memorials where they have to buy tickets to get entry. Thus these sites contribute to the state exchequer.” Taking a dig at the Samajwadi Party leaders, she said: "The SP government ruthlessly spends money of the poor on Safai Mahotsav for their own merriment. It all goes waste." Maya attributed the rise, growth and present political stature of Yadav clan of Akhilesh and Mulayam to Ambedkar saying that they should be grateful to the efforts of Babasaheb otherwise they would have been nowhere in the country’s political system. Tuesday’s BSP rally in Lucknow was orgainsed after merging small meetings in 46 assembly constituencies. It was attended by party workers form all those 46 constituencies along with their supporters. Moreover, the party had tied-up with a number of TV channels to air her rally live. Besides, the party had made elaborate arrangements to stream Mayawati’s speech live on huge screens in different districts across the state. Meanwhile, reacting to Maya’s diatribe against Modi, BJP state chief Keshav Kumar Maurya said that the BSP chief was suffering from Modi phobia. Expressing her dismay over the stand of Congress and BJP governments on the issue of awarding Bharat Ratna to Ambedkar, BSP chief Mayawati said that Congress and BJP never liked Baba Saheb, so they did not confer Bharat Ratna on him during their regimes despite several pleas. “I could get it done during the Prime Ministership of VP Singh who conceded to my demand as he needed my party’s support for government formation at the Centre,” she added. Mayawati said that since BJP did not like the step so it withdrew support to the then VP Singh government. She said that she could get Mandal Commission report implemented by VP Singh as it was also one of her conditions for extending support to his government. religious equality to ensure Dalits their legal and fundamental rights which was not acceptable to BJP and RSS. “It was only Baba Saheb who thought of the Dalits and due to his efforts, the backward, deprived and downtrodden could get reservation in jobs. He was the one who made special provisions in the Constitution like Article 340 to guarantee job security to the Dalits in otherwise a hostile society,” she asserted.